PTA Reflections Contest First Place Winners! Congratulations and thank you to all who participated in this year’s PTA Reflections Contest! 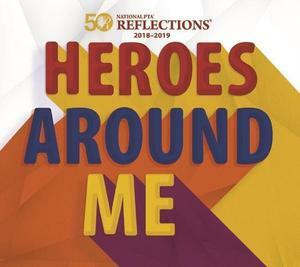 This year's theme was “Heroes Around Me”. We had many fantastic submissions across the six categories and we are excited to announce the first place winners. Thank you to all artists who participated this year. All six First Place winners will advance to the district level competition!